for the Angel Sect, left in the kingdom by his childhood friend, Helen. He refuse the fact that Helen needs to go and went to Rascya himself. But over there is not what he thinks it is going to be. 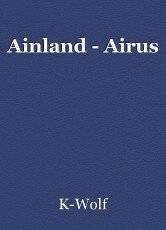 Ainland - Airus is a preview or introduction to KWolf's new project: Tri-Gate. This page was created in 0.3557 seconds.